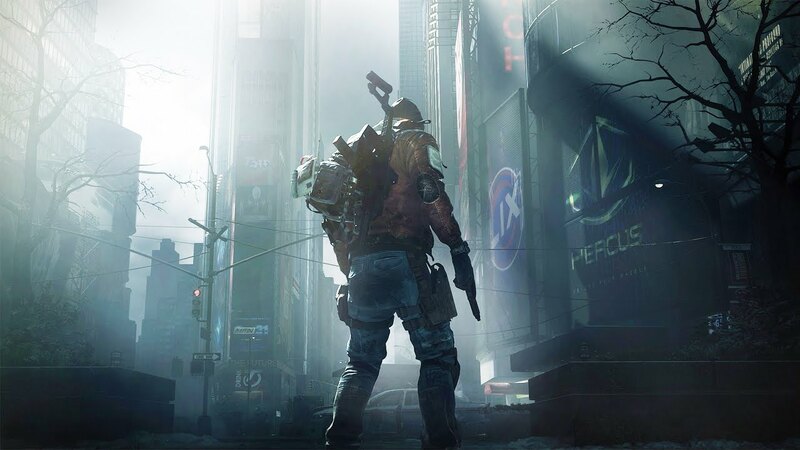 It has been 3 years since the arrival of the first The Division, a post-apocalyptic, military game that belongs to that famous genre of action games based on getting loot, and we’ve a sequel on our hands. The Division 2 continues to use this background, but it does it very well since its launch, unlike so many other titles. The so-called loot shooters are nothing new. For many years we have seen these titles that are based on a very simple formula: shoot and kill things in missions to get objects that will help you complete other missions easier; rinse and repeat. 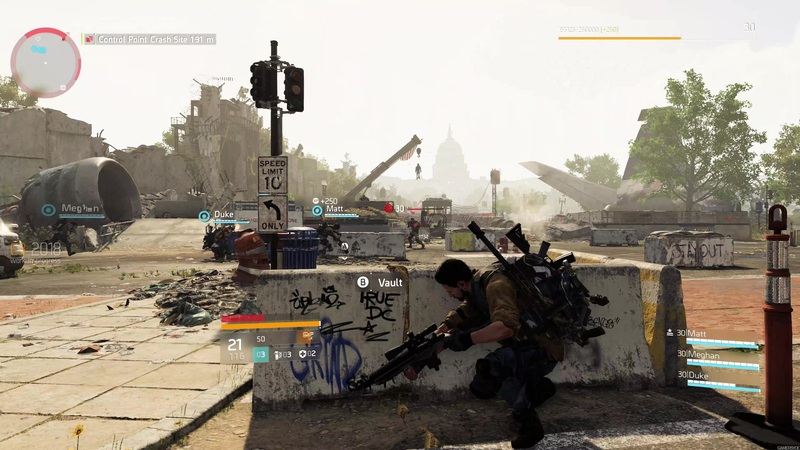 The Division 2 trades New York and its winter, for Washington DC and a radiant sun; but the situation humanity finds itself in remains the same, with divided clans seeking to control areas and resources. We, as agents of the Division, have to fight against three factions: Hyenas, True Sons and Outcasts. This context leads us to move around the city, capturing different checkpoints, shelters and retaking famous landmarks such as the Capitol or the White House, in a campaign that lasts around 50 hours. In general, the game asks you to shoot any enemy that crosses your path, but it also has many small stories to tell, and above all, gives players plenty of reasons to explore. The more you do it, the more loot you will get. Movement and the act of taking cover are clear highlights of The Division 2. Everything can be a point of cover, both for you and for your enemies. This environment makes it so that you cannot go running and shooting like crazy, requiring you to strategize and ponder your approach. You must think and find the best way out of each situation. To solve these problems the game offers you skills, which are complementary to your weapons and armor items. They range from things such as turrets and drones to mines and shields, all very useful during missions or to overcome challenging moments while you freely move across the map trying to take control points. 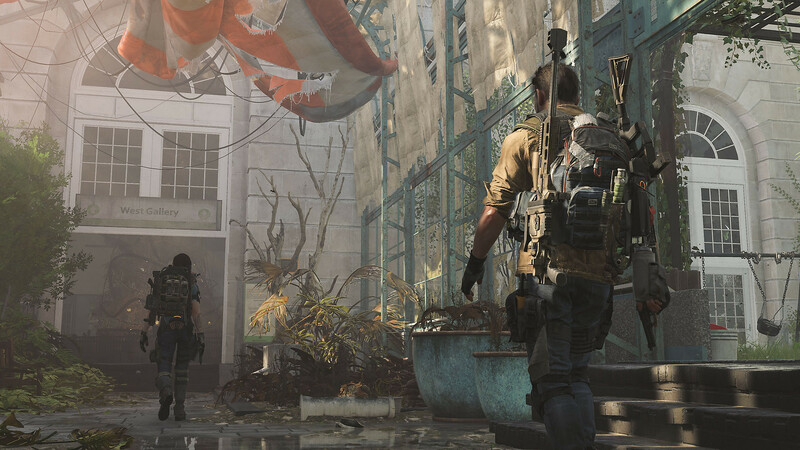 Unlike in the first game, The Division 2’s enemies do not feel ridiculously resilient. That, however, does not mean that missions aren’t a real challenge, especially if you do not play with a friend or strangers via the matchmaking system. The difficulty is balanced, although the battles with the final bosses feel a bit anticlimactic, as they tend to be normal-looking enemies with a bigger health bar and the occasional gimmicky moves and regular patterns. As for the loot, there is a metric ton of it. In addition to getting better weapons or items to equip, you can also find or purchase mods for these weapons, which allows you to further customize and improve them. All that without forgetting the importance of improving your passive skills and getting new ones each time you level up, as they will heavily influence your playstyle. After all, The Division 2, as any good Tom Clancy game, is not a mere shooter but rather a game about planning and strategizing. There are skills and weapons designed for a more trigger-happy playstyle, but what lays at the heart of the game mechanics are those skills and weapons that let you be efficient and clever in the way you tackle a situation. Most passive skills feel more like regular character progression, as they allow you to carry more weapons, replenish your inventory or be more precise, while other skills let you deploy drones, turrets or even shields in order to be on the aggressive side of the spectrum. Just like it happened with New York in the previous entry of the franchise, this new game is a beautiful recreation of an iconic city. The heavy urban scenery of New York is past behind and, instead, Washington makes you feel as a part of something grander. Not only you can explore monuments and landmarks as a part of an almost virtual tour, but it’s all well designed in pushing you to explore and be rewarded for doing so. A lot of hidden places and passages adorn the city streets and it is up to you to lose yourself in an environment filled with buildings in disrepair, which make you feel like there was an actual collapse in modern civilization that eagerly wants to rebuild itself. This post-apocalyptic setting is not as desolate and hopeless as Fallout but rather feels credible and immersive. The more you investigate the city, the more you get out of it. The team behind the game has created something special by recreating a city as iconic and relevant to western civilization as Washington. The sound is praiseworthy for its variety and fidelity. The Division 2 does an exceptional job of informing players about the position of the enemy during combat encounters. Sound design is worth praising, as most weapons have their unique and characteristic sound while shooting, which adds to the credibility of the game. Furthermore, voice acting is done well and, despite the fact story development is not the game’s forte, actors and dialogue are well executed and do not feel exaggerated or corny. And this last aspect gives rise to talk about the immensity of The Division 2. It not only applies to the main or secondary missions, but also to events that take place in the city, in you can intervene or get involved spontaneously as you roam around on your way to another objective. 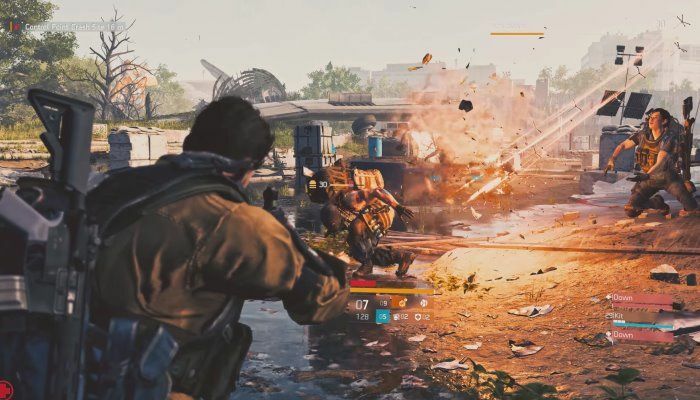 These events add life and verisimilitude to the world of The Division 2. They can be divided unto 5 categories: Medical, Tech, and Security. To this we must add the Dark Zones, a game mode that Ubisoft knew how to boost for this second installment, being much larger while losing narrative strength. The Dark Zones are a unique hybrid of a PVE and PVP; a mix, if you will, of Fortnite and Rust, in which you can either work together with others or decisively kill whomever gets in your way. These Dark Zones have their special set of rules, such as contaminated loot or gear normalization. The former are contaminated items which generally are more powerful the non-contaminated variant, but also require additional effort to be able to unlock and use. Contaminated loot must be extracted via helicopter for it to be claimed by the player. But you must be careful, because once you start the extraction process, other players will be alerted to your presence and may attempt to steal your loot. On the other hand, gear normalization means all players of all levels receive a proportional set of stats on their gear upon entering, giving veterans and newcomers the same chances at winning and reaching extraction points). The Dark Zone was the highlight of the first The Division and, by knowing that, the developers doubled down on it and delivered a more complete experience. The world of The Division 2 is big, but not deep. The post-apocalyptic story is left aside when we take up arms, the narrative part being practically non-existent. You’ll often find yourself in the middle of a mission and unable to remember the reason why you are there shooting at enemies. Everything just seems to be an excuse to go and fill hapless targets with bullets. Another point in which the video game falls very short is in the variety of missions. The main ones are all the same: you get to a point, you enter a building or subway, you go from room to room killing your enemies, activate what you have to activate, then you must try to leave, and another problem arises, or a boss arrives. This is repeated endlessly. Ubisoft listened to the fans of the first part, and they improved on what they succeeded. Nevertheless, we must point out the deficiencies of the game’s plot. While the story is present, unlike other games that have opted to scratch a single player story mode completely in favor of a strong multiplayer experience, it is barely inexistent. This might be a turn-off for many players that waned to expand more on the game’s story, but, in the end, Ubisoft said The Division franchise was a game meant to be played with others. Despite this, the game mechanics are still strong and fun. The game engages through how it requires you to think about where to position yourself and when to move in order to complete objectives, instead of just running and gunning. But the dev team forgot to give a touch of personality to the player, to make them feel like they’re part of the world, beyond just killing. Despite its flaws, you cannot afford to miss Tom Clancy's The Division 2, an excellent game and a fine addition to the genre.